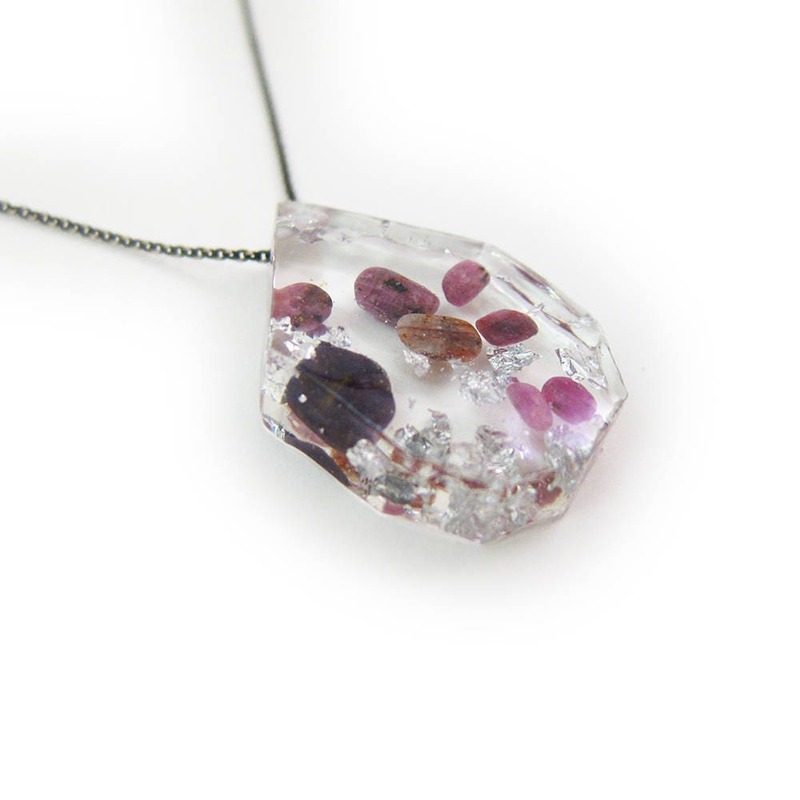 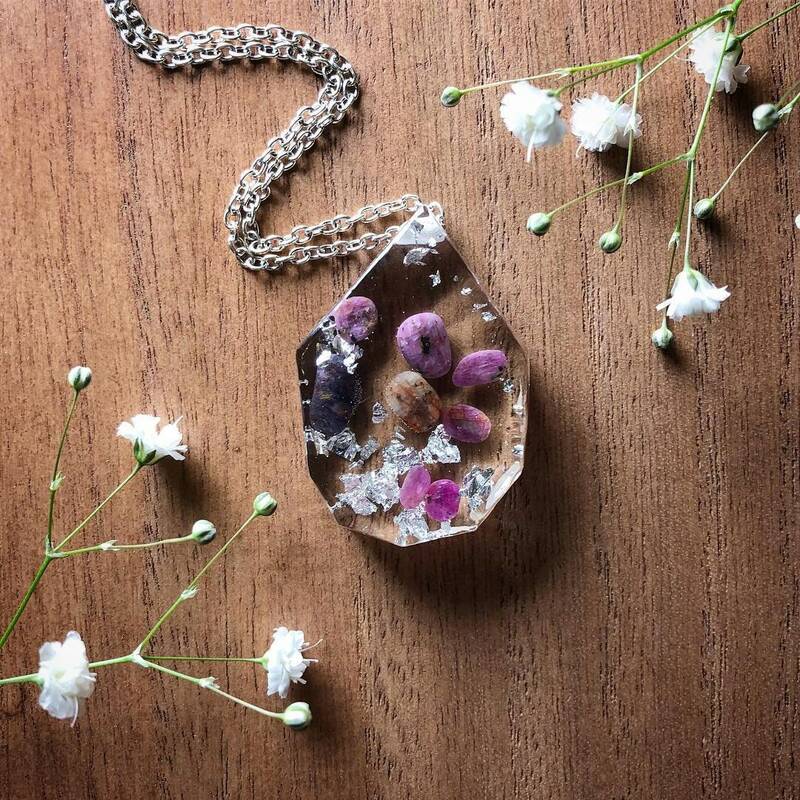 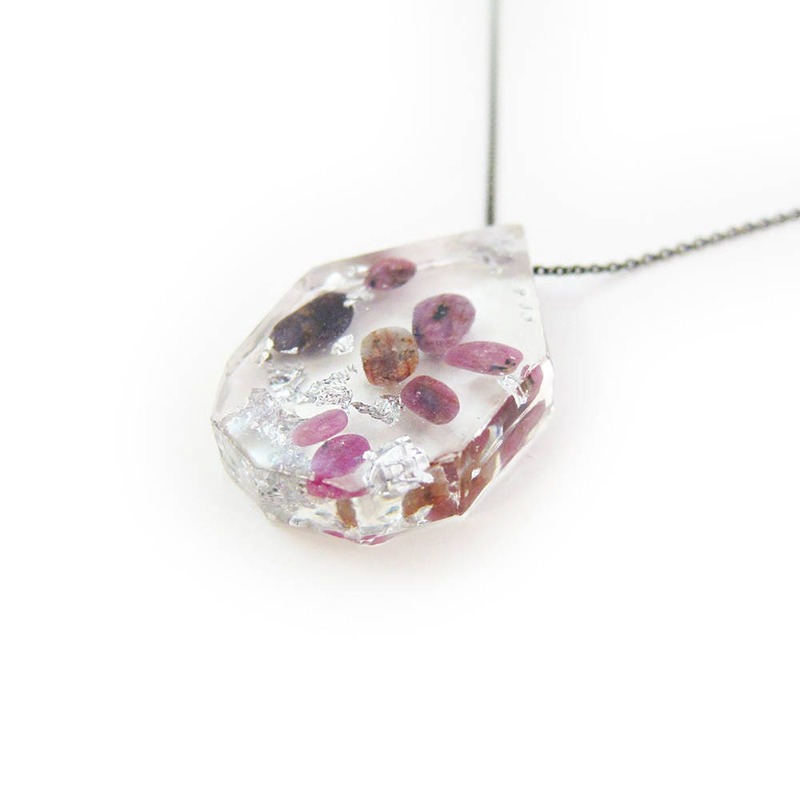 Tumbled rubies with shimmering silver leaf suspended in hand cast crystal clear eco resin. 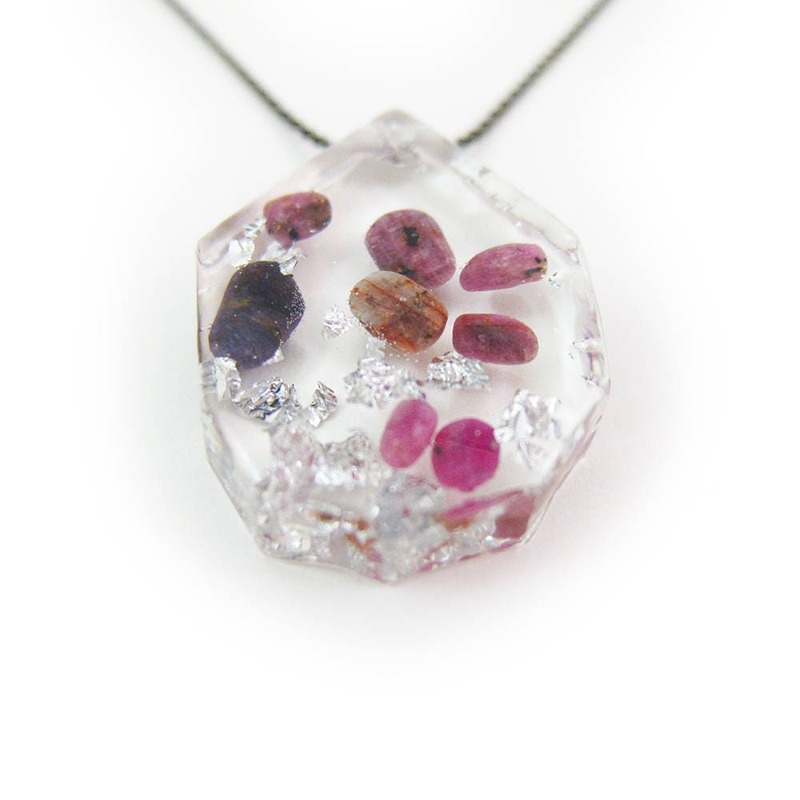 The pendant is a geometric shape. 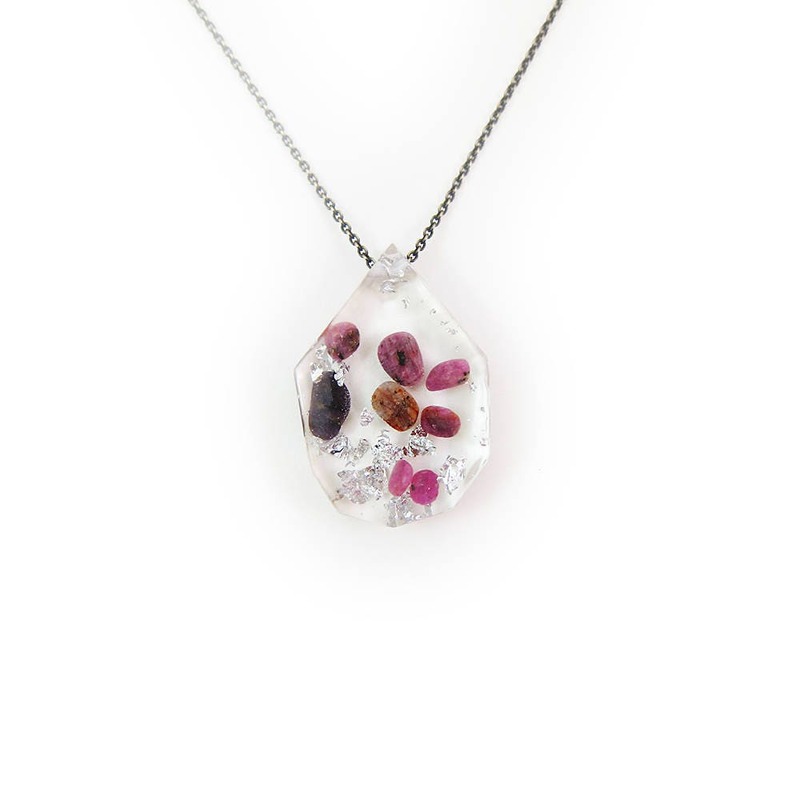 The chain is a fine-link antiqued cooper with antiqued brass lobster clasp.